With as much as 13,280 x 9,184 effective pixels, the 120MXS CMOS sensor provides remarkable clarity and definition even at considerably increased magnification. The sensor is also capable of recording videos at 9.4 fps in full RGB or 18.8 fps in black& white, making it suitable for advanced surveillance systems. 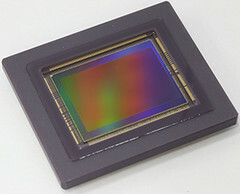 There has been a slow and steady evolution in the last decade when it comes to DSLR image sensors. Over the past 10 years, professional DSLR models jumped from 10 MP to 45-50 MP sensors, making it clear that Nikon and Canon do not believe image quality is offered solely by increased resolution. Most of the times, the newer DSL models integrate slightly better CMOS sensors, while the lenses always come with drastic improvements and innovations, as they seem to be more important for highly accurate image reproduction. In contrast, mobile devices such as smartphones have already made the leap from 8 MP to 20 MP image sensors in just under 2 years, but the lens systems are quite limited by the compact form factor. To prove that a more drastic resolution jump is possible for DSLR as well, Canon has started working on the 120MXS 120 MP sensor ever since 2015. The 120 MP resolution translates into 13,280 x 9,184 effective pixels, representing approximately 60 times the definition offered by 1920 x 1080 displays. The form factor is surprisingly small, Canon managing to squeeze all 122 million pixels in an area no larger than 1.15 x 0.79 inches (each pixel measures 2.2 μm x 2.2 μm). The impressive part is that this CMOS can also capture videos at 9.4 fps thanks to its 28 high speed digital signal output channels. Additionally, if the color information is dropped, the sensor can capture videos at 18.8 fps. The video bellow shows just how much of a difference the 120 MP sensor makes compared to a 1080p sensor. The surveillance applications for such a sensor are staggering, and, quite frankly, a bit worrying, since the information retains astounding clarity even at high zoom levels. The 120MXS sensor is not yet ready for a commercial release, but this is probably for the best, as surveillance systems would benefit for an exaggerated boost.